It’s an unfortunate truth: cyber criminals are targeting small and medium sized business. 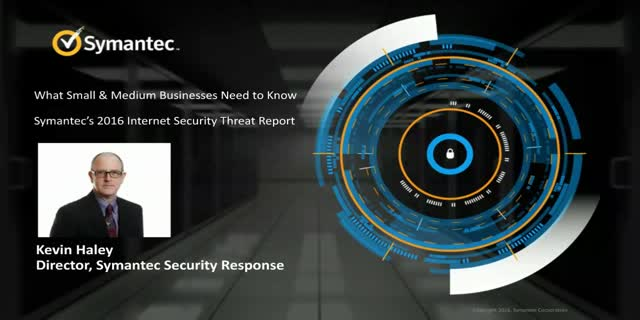 This webcast will focus on the threats these businesses face. Using analysis of the 2016 cyber threats from the newly released Symantec Internet Security Threat Report, we will cover the latest trends in cyber-crime and what to do about it. •Why cyber criminals target small and medium business at a higher rate than larger businesses. •How ransomware is expanding to new targets and how to protect yourself. •Why 78% of all legitimate websites are putting your end users at risk.